Especially when you think he might be guilty. To make matters worse, Izzy and her elderly accomplice aren&apos;t the only ones digging into the murder case, and the other parties are a whole lot more dangerous. And if her old nemesis didn&apos;t do it, then the real killer won&apos;t appreciate their interference. 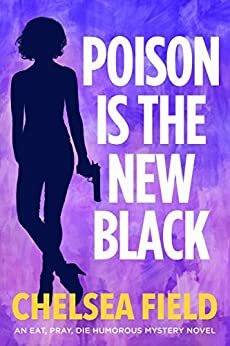 Throw it all together with a client from high-society hell (the same world the murder victim is from), the challenges of a new romantic relationship, and plenty of snark, poison, vengeance, and firebombs, and Izzy had better watch her back! "Izzy is the Stephanie Plum of Los Angeles ... Fun, entertaining, and engaging reading." "So good I absolutely could not put it down! ... The entire book crackles with memorable characters ... The plot is fast-paced and suspenseful ... This series never fails to entertain me!" "I will miss these characters. Best series of my year!!" All 3 books in this series are fun to read. Each character is unique. These books have it all - romance (sort of) humour and mystery. What I find most interesting (no spoiler) is the "shades" line of work, do they really exist ? Please hurry and release more books in this series !!!! My husband enjoyed listening to my frequent laughs out loud. The book had me in - it took a lot of self control to stop reading when I needed to. 5.0 out of 5 starsSO GOOD!!! Seriously, this series just keeps getting better and better. Izzy is great, I just love her. The small group of central characters has expanded a little, and definitely for the better, I love that we're really getting to know everyone a bit more, and I am DESPERATE to read the next installment!!!!! I love this series. Izzy is a great character. Nice development of the overall story as well. Will keep reading. Well done Chelsea. This is another easy read in the series. It is great light reading and the characters a so easy to enjoy.